Every 3 months, the IHG hotel chain releases its hotels around the world that they are giving point breaks on–for only 5K IHG points (instead of 10K +, sometimes as high as 40K+), you can stay at any of the properties on this list up until July 31st for up to 2 reservations per hotel for unlimited periods of time! They allow for up to 200 reservations per hotel with Point Breaks. Once you have 5K points through one of the above ways, you can also do a trick to get points on IHG’s website, which involves getting a room at one of the hotels that is part of the 5K point break deal. You can choose to pay for it instead for $70. Get the room. It’s non-refundable, BUT they’ll give you point in lieu of the cancelled room. That way, a room will cost you, with Point Breaks, about $30USD a night! 40,000 not 30,000 Membership Rewards with the link above after spending $5K in 3 months. Limited Time Offer: 75,000 instead of 40,0000 Membership Rewards ONLY with the link above after spending $5K in 3 months. I’ve written before about the power of SPG points–how you can transfer the points to over 30 airlines, and do so at a premium ratio (for most airlines) when you transfer in increments of 20K SPG points (for 25K airline points). Now how will you get the points? If you click on either the business or personal link above, you’ll have to spend $1500 in 3 months (used to be $500 :( ) to get 20K SPG points. Get your significant other to apply, and you can either use it to transfer to an airline point system that will take you BOTH, for example, to Seattle/L.A (long haul flight across North America). Cheapest way is with Aeroplan as the conversion is 1:1 + 5K bonus Aeroplan points when converting 20K SPG points or to United points,–while they have a LOT of availability for Air Canada flights without the high taxes–unfortunately, with SPG, they only transfer to United at a 50% conversion (1:2). It’s unfortunately the only way I know of in Canada to earn United miles (other than RocketMiles, a website that gives you points for booking hotel stays that you can transfer to United, many other airlines, and even Amazon for gift cards--oh, and of course, by FLYING and PAYING for a United flight--what a concept). A GREAT idea to do with them is switch them to your Marriott account at TRIPLE the value. If you have not linked your Marriott account to your SPG account yet, what are you waiting for? You can switch your points back and forth as often as you need. You can also get your spouse to do so, and with Marriott, you can use your spouse's points if you don't have enough in your Marriott account to cover the stay in points. DON'T be shy to call/email the GM (get the GM's email from the front desk person) at the location you've booked at and explain why you'd like an upgrade (e.g., standard room won't fit your family, your birthday/anniversary, etc.). I love the Residence Inn and TownePlace Suites chains as they have full kitchens in every suite as well as 1 and 2 bedroom suites. Some managers will upgrade you months in advance if it's during low season, and the rare one even at busy times. United miles are amazing in some cases. For example, YYZ-LAX for next to nothing in taxes with lots of availability. YYZ-TLV on Air Canada, for NO fuel surcharges! If you have a Social Security Number, you’d definitely want to get the Chase United Mileage Visa, that offers terrific features, along with a 50K welcome bonus (at certain times or if you already have a chunk of miles in your account–how many, I’m not sure about). If you sign up for a United Mileage card and then attempt to book a flight, you’ll see the offer going from a 30K welcome bonus + $30 statement credit to a 50K + $50 +5K more for a secondary cardholder. Ahhh, America–you gotta love their credit card offers! HOT! $298CDN Return YYZ to St. Maarten! Air Canada Vacations is selling off seats to St. Maarten (SXM airport code when searching) on Air Canada Rouge for only $298.37 CDN return for April 17-24! Be sure to choose the Flights Tab, and the correct number of passengers, as it defaults to 2. Click here to check it out and to book! For those last minute vacationers, it's a steal at that price! Cheaper accommodations are available through Air B&B or VRBO for under $120CDN per night. I found 18 availabilites right now for that period, between $28-$120CDN per night for rentals--click here to see. Save $10 Off Your Tire Change, Oil, Interior Detailing or many other options! I recently got my winter tires off and had it all done in my driveway by a qualified insured mechanic that is employed by Fiix--the Uber version of mechanics--they'll send you a pic of the guy, give you his rating with other customers, give you a 50 point road inspection, and leave you with time on your hands that could be better used for other things than driving to a mechanic to have such relatively simple things done. Best part is that YOU pick the time, 24/7, that you would like the mechanic to come to your home/work to get the job done! If you click on the pic above, you will receive a $10 discount! So, for example, my $60 tire change cost me only $50--totally worth it for the convenience! The discount won't show when you click on the link--it will simply be $10 cheaper than if you go through their website without using my link. An unusual sale--Banana Republic.CA is having a sale that is on EVERYTHING. This includes their higher end options including their Monogram Collection. For example, a pair of wool dress pants, regular $240--on sale for $191, less 40% at checkout, LESS 15% if you sign up for their mailing list MINUS cashback of 2% through EBates.CA or EBates.com--that puts that $240 pair of wool dress pants at under $100! Not signed up yet for EBates.com or .CA? Click here first, read all about and then sign up for EBates.com or EBates.ca. Put Banana Republic.ca in the search parameter bar and have EBates take you there. I recommend EBates.com, as they pay you in USD in cashback, and who can't use USD? While supplies last. Act fast! Click on the pic to above to preregister for AerClub from Aer Lingus and get 250 points! Avios.com is affiliated with two different airlines--of course you have heard of British Airways (BA) Avios, but there's also Iberia Avios (Iberia is a Spanish airline affiliated with the Avios point program). Well, Aer Lingus, the Irish airline that is also part of the One World Alliance along with the other two Avios' as well as several airlines around the world (including US Airways/American, Air Berlin, and many others), is changing their point system in July of 2016 to Avios. We know that Iberia Avios is a pain to book online. You HAVE to call them to make a booking. We know they only allow return trip flights with their points, but there ARE advantages. For example, while BA Avios allows you to book one way, it also increased the points for short haul flights from 4500 points economy one-way, from NYC to Toronto for example, to 7500, to match with many other point systems, including Aeroplan. Iberia Avios did NOT increase the points for a return short haul--it's still only 12K points--3K cheaper than with BA Avios. BTW, you'd be flying with AA. Iberia adds together the miles to get from your destination, through whatever stopover you need, to your final destination. Toronto to New York falls within zone 2, which is 12000 return. AerClub will give you one more option that may prove lucrative, depending on where you're going in the future. Can't hurt to sign up! I don't see anywhere on the website where it states that you'll get 250 miles at a future date but that's what I'm ready out there. Click on the pic above to preregister. Scroll down to find where to type in your first name and email address. You won't be checking off the Gold Member box, as you won't have status. Fly to Cancun OR Mexico City Direct in April thru June for $373CDN return, including taxes! AeroMexico is currently charging on $373 CDN return for a flight from YYZ to Mexico City OR CANCUN for dates through April, May, and June! Get 25K Points AGAIN for FREE!! Annual Fee waived! 25K Welcome Bonus EVEN if you've already had the card! Click the pic to link to the deal! American Express, as of late last year, has officially changed its policy regarding giving the welcome bonuses on their personal cards--only one per lifetime per card type, right? That may be policy but their IT department has not caught on to that yet. For example, as you may or may not know, Membership Rewards points are equivalent when converting to Aeroplan points (instantaneous conversion) or to Avios (currently 1:1 as well, though sometimes they sweeten the ratio). 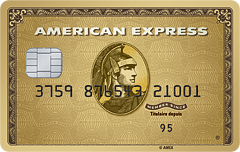 The AMEX Gold Rewards card has NO annual fee the first year. They give you double points for gas, groceries, and pharmacy purchases and 25K points (the same as 25K Aeroplan or Avios points) after meeting the spending threshold of $1500 of spending in 3 months--used to be $500 but they've upped it. Yes, you can use your points to pay for the taxes on flights (not the best use of points) using TripFlex Rewards at a rate of 1%, unless there's a sale on them to get a sweeter ratio. And yes, you can use your points to buy merchandise, including gift cards on the AMEX website, but again, not the best use of your valuable points that will help you achieve your family's vacation goals! If you currently have the card, you will likely have to wait about 3 months after cancelling to be eligible, and they points won't necessarily post to your account the moment you hit the $500 spending threshold. In fact, based on my sources, there is NO rhyme or reason behind it--not the link you use, not whether you've NEVER had the card or if you've had it 6 times, makes no difference--sometimes the system posts the points instantly, and sometimes you to wait a couple of months to see the points. It's pretty evident if you've listened to stories in the media about the advantages of flying out of BUF as opposed to flying out of Pearson (or for that matter flying out of any border town compared to flying out of Canada). Pearson charges the highest rates to airlines, which pass it on to us and makes Pearson the most expensive airport to fly out of in the world. It's only really worth flying out of Pearson (or other Canadian airports) for convenience sake. For example, flying within Canada--to do so out of Buffalo for example, seems a little ridiculous, and will require you to make at least one stopover since Buffalo is NO hub for ANY airline. People use it to fly to Florida. A good choice. For example, with Southwest Airlines (SWA) policy of 2 free checked in bags, free snacks and soft drinks/juice, flying SWA, especially the direct flight to Fort Lauderdale from BUF is convenient and cheap--IF you buy your tickets the day they go on sale to lock in to their cheapest rates. Another great thing about SWA is if you need to cancel, you can use the money towards rebooking another flight with SWA so it's not totally lost as it would be with your other major airlines. They've also been in business since 1967, so they're unlikely to fold up on you as did Direct Airlines (stranding customers in Florida and other places) or to leave you there for days as they may only fly one flight a day to and from your location (Spirit Airlines out of Niagara Falls--avoid them at all costs--literally costs--it's not worth the "savings" to be stranded for days when the place can't land in Niagara Falls and is redirected back to FL--then rebooked for a flight 2 days later and THEN delayed 6 hours--goodbye to 3 days of work pay). While flying out of Niagara Falls Airport is the best (it's a few minutes over the border as opposed to 40 minutes from the border) with cheap parking, there isn't an airline flying out of Niagara Falls right now that I would recommend, unless you want to fly out at some ungodly hour (how's 2 a.m. grab you?) and fly with an airline with the worst reputation in America. If your flight is an early one, especially in the winter months when your flight may not be cancelled, but your getting there may be delayed greatly, obviously staying overnight is the best option. When I've stayed in BUF with my family, I've stayed in one of 2 hotels. One is the Clarion Hotel Buffalo Airport. The rooms were very average, but their rates to keep the car in their parking lot were very reasonable--about the same price as leaving the car at BUF, with the peace of mind of arriving at the airport on time, comfortably. The second time was a much better option--we stayed at the Towne Place Suites Buffalo Airport--it's literally across from the airport (much closer than the Clarion), it was a new hotel (or at least newly renovated) and it was only a Category 4. That means that if you apply for the Chase Canada Marriott Visa for the first time, you'll get 50K Marriott points with this link (I get nothing for this BTW), and a free e-certificate to use within 6 months at any of their properties, up to a category 4 (it can be extended if you call them for up to 1 year). To leave the car there for 2 weeks (free shuttle service to BUF), they only charged me $45. Plus, because we came in December, when they tend to have a LOT of vacancies, they upgraded us to a comfortable 2 bedroom suite with a full kitchen at no extra cost--so we ended up making our flight--even though the free shuttle had not started yet (we would have had to wait another 20 minutes--'til 7am I believe, to use their free shuttle) so I saw them cover the cost, paying a minivan taxi driver with cash to cover our "free shuttle". VERY impressive considering the stay was practically free! More Incredible Aeroplan deals--even in the summer! Just checked and currently, Aeroplan has tickets from Toronto to Sydney for not 90K Aeroplan points in economy, but 49,500 with no distinction status (48.5K for Black Distinction) plus the fuel surcharge of 888.06. There is still a glitch in the system as they claim to charge 48.5K (or a bit less with different levels of Distinction status) but it depends on your flight choice. I chose the flight leaving Toronto on Sunday July 3 at 8:15pm, returning 2 weeks later on the 17th at 10:10am and it worked--for other flights, it came out to more points despite the claim of "starting from 49.5K when it was the only flight at that point level for 1 leg of it. It's a glitch. Is it worth it for $888? Again, for the convenience of flying out of Toronto (instead of some great deal you MAY get down the line out of NY or LA) and getting the whole family on at that price, perhaps. On AC, it's going for $1553 and with Air NewZealand, through TripAdvisor, $1476, so at 48.5K or so AP points return, it's a good deal! SUPER HHHOT! Fly to Israel with Aeroplan for 27K Points!! Paris for 15,100!!! I imagine there are MANY other destinations that have the same type of deal--for example, Paris--thought there is clearly a glitch in the system when it states "flights from 15100" and then the total comes out to 39K+ for some flights, with others it works. For Paris, if you choose the flight out on the 5th at 2pm coming back at 11:30am, you'll pay 15100 AP points plus $588.36!! That's insane considering a regular flight to Paris with economy is quadruple that--60K. Of course, the time of year is not the best to fly, but you can still find significant drops in the number of AP points anytime between January and March 23 (furthest date to book by as of tonight). Pick your destination and play around to see what YOU can find! BTW, I tried one Caribbean destination--no dice. Regular price. You may want to take the AP "pay all with miles" option but it's a ripoff--unless you're oozing in Aeroplan points and are so broke, you spell broke--brok, you'd be nuts to use AP points to pay in lieu of cash (as per my previous post)--you'd be better of using AMEX points, though again, using AMEX points in lieu of cash is not the best use of them--but if you have a lot of them and you're short on pesos, choose that option, rather than converting the points to Aeroplan and then paying for your taxes with AP points. For more info on the AMEX Platinum card, to get you 75K AMEX points(or 100K) to convert to AP points instantly, one-to-one or Avios points one-to-one, click here. So, apparently, the new Aeroplan Pay With Miles Program, that began today, April 1st, is unsurprisingly a rip off. Guess we're the April Fools if we take advantage of the program. I tried 3 different flights today. For example, a flight to Tel Aviv (this summer, some Market Fare flights are on sale for less than Fixed Mileage for 88400AP miles, and with Black Distinction Status, only 74250AP miles), the taxes and fees are $696.26--which they want 81912AP points in lieu of the cash. American Express Membership Rewards FlexPoints, when NOT on a sale ratio, charges 1 Membership Rewards (MR) point per cent, 17% cheaper, at 1-to-1. Therefore, charging you Gold or Platinum AMEX card for the transaction, and then using your MR points to pay for it would cost you 69,626 MR points, a savings of 12286 points, so you're better off using MR points to pay for the taxes than Aeroplan points, which is yet another reason to get the AMEX Gold or Platinum card! Now, overall, one should NOT use their MR points to pay for taxes unless there's a sale on FlexPoints, that allow you to pay for your taxes or airline tickets with your points--even then, if you have the cash available, it's better to use your MR points to convert to Aeroplan or Avios rather than using them to pay for your taxes/ticket, but in a pinch, if you didn't want to pay the cash, or had so many points you didn't know what to do with them (ahh, that would be nice), you'd clearly be better off using MR points to pay for your ticket/taxes than Aeroplan's new Pay With Miles program. For more info on the AMEX Platinum, click here.